Mystery and intrigue are inherent to the Holy See. People will always wonder what religious authorities are conspiring to behind closed doors, what treasures lie within the vaults of the Vatican. Despite claims that the Pope has evidence of extraterrestrials and demons tucked away in his catacombs, the truth of the secret archives is much more realistic. Because of this, it is also much more interesting. From handwritten letters of historic personages such as Mary Queen of Scotts and Abraham Lincoln to papal bulls excommunicating Martin Luther, the contents of the archives are enough to make any scholar’s eyes go wide. Yet, the high-level nature that makes the contents so fascinating is also what makes them so closely guarded. For in truth, it is not evidence of aliens that the Vatican is hiding from the public eye but rather documents that may show the Church was complicit in Mussolini’s state-sponsored terror and, possibly, even in Hitler’s anti-Semitic pogroms. The truth behind the secret archives stems from a mistranslation of Latin. 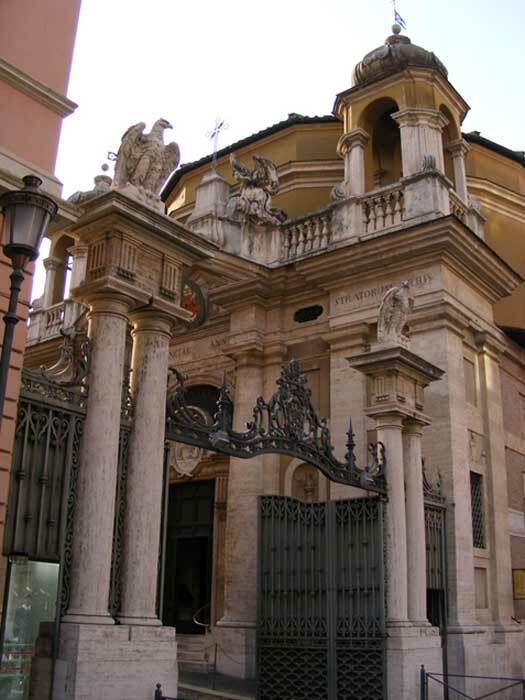 The actual name of the Vatican archives is Archivum Secretum Apostolicum Vaticanum . ‘Secretum’ in Latin does not mean ‘secret’ as some may suppose. It is more accurately translated to mean ‘personal’ or ‘private’. The archives are in fact made up of the private letters and historic records of past popes over the past four centuries. The archives were established by Pope Paul V. The Pope clearly had a sense of the historic importance of papal correspondence and knew that such documents should be preserved. However, the 17 th century was firmly of the mentality that common people should not be privy to words exchanged by kings and popes. So the archives were kept under lock and key. It was not until 1881 that Pope Leo XIII allowed researchers to view some of the archive’s contents. However, it was no simple matter for one to view the documents and the procedure has not changed much over the last 200 years. First of all, journalists, students, and amateur historians are not given access. Once an interested party has proven that he or she is a serious enough scholar, credentials are granted that must be renewed every six months. To enter the archives, a “scholars enter through the Porta Sant’Anna , pass Swiss Guards, walk through the Cortile del Belvedere , and present credentials” (O’Loughlin, 2014). Once admitted, scholars must request which specific documents they wish to review. They are only allowed to request three per day. So instead of being able to browse the contents of the archive, they must select articles from catalogs in which items are handwritten in Italian or Latin. These catalogs are quite imposing considering that the archives contain “50 miles [80km] of shelving and documents dating back to the eighth century” (Keyser, 2015). “If in just a few minutes they realize that what they’re seeking isn’t in the requested folders, they’re forced to pack up for the day - a challenge for scholars on a deadline or those who have traveled long distances” (O’Loughlin, 2014). Computers are allowed but not photography so scholars spend most of the sessions in reading rooms typing up notes. The 197-foot-long (60 meters) scroll containing the minutes of the trials of the Knights Templar, which lasted for several years starting in 1307. A letter from Pope Clement XII to the Seventh Dalai Lama requesting protection for Franciscan missionaries in Tibet. Pope Pius XII in League with the Nazis? David Kertzer, a historian from Brown University, was able to examine documents from the reign of Pope Pius XI (1922 - 1939). He concluded that the pope “made deals with Mussolini to protect the Church’s interest in exchange for silence on state-sponsored anti-Semitism, a conclusion at odds with the Church’s account” (O’Loughlin, 2014). Groups are pressuring Pope Francis to make fully available the contents relating to Pope Pius XII (1939 - 1958) in order that the world may finally know for certain the man’s involvement with the Nazis. Some say that he supported Hitler, either in a manner similar to the Church’s support of Mussolini or perhaps even more substantially. Others say that the Pope worked against the Nazis and helped to hide Jews and other targets of Nazi aggression. In 2012, in celebration of the 400 th anniversary of the archives, 100 documents were made available for the public to see in an exhibit called Lux in Arcana . The Guardian. "In Pictures: Secrets of the Vatican Archives." The Guardian . Guardian News and Media, 16 Sept. 2010. Web. https://www.theguardian.com/books/gallery/2010/sep/08/vatican-secret-archives-pope. Keyser, Hannah. "15 Historic Wonders Housed in the Vatican's Secret Archives. " Mental Floss . Mental Floss, Inc., 15 May 2015. Web. http://mentalfloss.com/article/63850/15-historic-wonders-housed-vaticans-secret-archives. O'Loughlin, Michael. 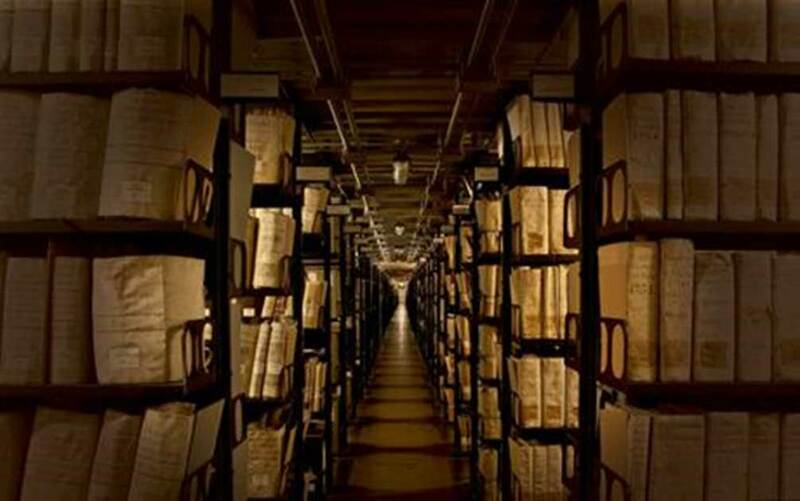 "What's Hidden in the Vatican Secret Archives?" Crux. Crux Catholic Media Inc., 01 Sept. 2014. Web. https://cruxnow.com/church/2014/09/01/whats-hidden-in-the-vatican-archives/. What they don't want the general public to find out is that the bedrock of all major religions was a way more intelligent aliens could slowly guide the social development of the human race by manipulating the population. I heard but don't know but that some of the scrolls from Library of Alexandria ended up in Vatican. Is this true? They were certainly a part of the “rat lines” (Odessa) that got plenty of Nazis out of Germany at the end of WW2! To better determine what lies in there, we need to do lots of research. Ethnographic research would be one way to go and get started then that knowledge needs to be produced.